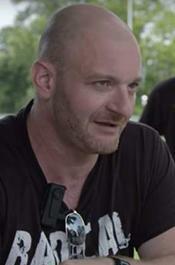 AUGUST 18--Christopher Cantwell, the tough-talking white supremacist who faces arrest for wilding in Charlottesville, will soon be posing for a fresh mug shot. 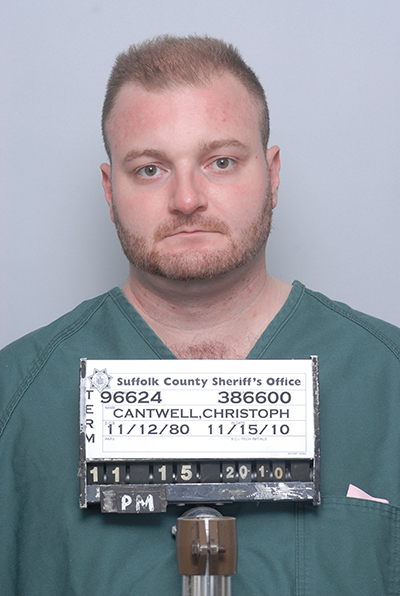 Until then, however, fans of the Weepy Nazi™ can enjoy this booking photo of the 36-year-old, which was snapped in Suffolk County, N.Y. in November 2010 following Cantwell's second drunk driving conviction. Cantwell’s rap sheet also includes convictions for weapons possession and criminal possession of stolen property. Fearful that an arrest warrant had been issued for him in Virginia, Cantwell this week recorded a teary video in which he claimed to be “terrified” of being collared for his antics at Saturday’s violent “Unite the Right” rally. Addressing cops, Cantwell said, “I'm armed. I do not want violence with you, alright?" He added, “I'm terrified. I'm afraid you're going to kill me I really am." Cantwell also claimed, “We are trying to be law-abiding. And our enemies will not stop. What options do we have left?" 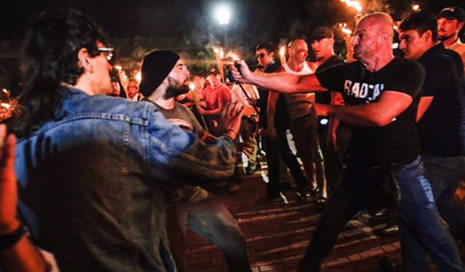 Cantwell, a Keene, New Hampshire resident, went to Charlottesville with multiple handguns. But he is wanted in connection with his alleged use of pepper spray (as seen below). The warrants charge him with illegal use of gases and injury by caustic agent or explosive.